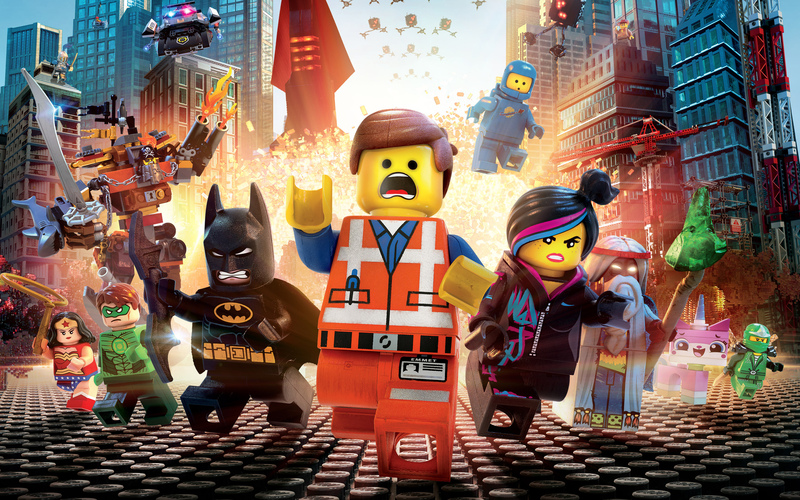 The Lego Movie is one of the most ambitious films I’ve seen in awhile, and it delivers on the promise of a lot of laughs. It’s a dystopian sci-fi movie, a Western extravaganza, a good old fashioned romance, and just plain funny. The ‘funny’ part cannot be understated. The beginning starts off a bit awkward. It was focused on showing how completely all the citizens were being manipulated, and that even among all these blank slates, the main character is even blanker. Chris Pratt voices the main character, Emmet Brickowoski. He’s a regular construction worker whose favorite song is Everything Is Awesome, just like everybody else. Chris Pratt manages a fine performance in the portrayal of the blank hero. He does a believable job of an Everyman, but manages to avoid sounding dull or fake throughout the entire film. The beginning may not be funny, but it’s the setup for a lot of great lines. 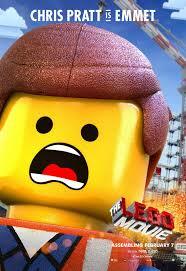 After five hours of singing his favorite song, Emmet hears a strange noise, and he goes in search for said noise. He finds a hooded individual, and consults a manual telling him that he should report any mysterious people. He’s about to sate his intentions when the hooded individual removes the hood, and exaggerated slow motion ensues as Wyldstyle (Elizabeth Banks) shakes her hand to straighten her head. Elizabeth Banks delivers a great performance in the “insecure” Master Builder with the name of a DJ. She leaves, and when he tries to follow her, he falls into a ditch. He sees a strange object, and slowly moves to touch it. Below him, we can see the page in the manual specifically advising against such a thing, but completely entranced, he grabs unto it. Different images intercut together follow, and he’s woken up by a gruff Liam Neeson playing the Bad Cop who is in the middle of interrogating him, apparently. Emmet points out that he is a real expert from watching cop shows, and notes the absence of a Good Cop. Bad Cop then swivels his head, and the “Aww-shucks” Good Cop appears. 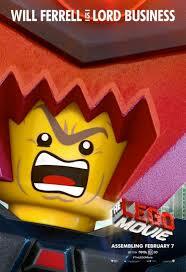 This is an example of the directors (Phil Lord and Christopher Miller – the makers of Cloudy with a Chance of Meatballs) using their subject matter to its utmost advantage. Sure, it’s not the most innovative thing in the movie, but it was a nice touch. It showed self awareness that these characters were all legos, and that unlike with a lot of toys, you can do plenty of different things with them. The interrogation is interrupted when Wyldstyle rescues Emmet, and tells him about a prophesy naming him as the Greatest, Most Talented, Most Specialest Person Ever. Yeah. At least they aren’t simply using the Chosen One, I guess… There’s a really cool chase with Emmet and Wildstyle on a makeshift motorcycle while cars and helicopters tail them. They escape through a tunnel, and enter The Wild West. Apparently, there are other realms in the Lego World, and it was a real treat to see images of the actual box sets of the different “realms”. Ah, childhood. They track down Vitruvius, the blind Master Builder as portrayed by Morgan Freeman. 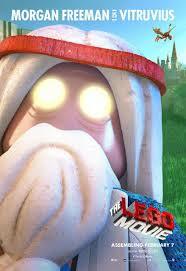 Vitruvius feels like Morgan Freeman’s way of poking fun at his “wise, practically omnipotent” characters in the past. Shows that even someone with the perfect voice for narration can have a sense of humor. They perform something similar to a Vulcan Mind Meld, and enter Emmet’s mind. Which is… completely blank. When asked to envision something he always thought was good, he conjures up an image of a Bunkbed Couch. Wyldstyle promptly tells him that it’s a bad idea, but Vitruvius interrupts her. As he’s shown in Megamind, Will Ferrel can play a really funny, great sympathetic villain. He is President Business, and he wants to use the Kragle (a tube of Krazy Glue with the Z, Y, and U scratched off) to permanently keep everything in place. He wants to bring order into chaos. Honestly, it’s a rather good evil plot. To demonstrate this to Bad Cop, he uses the Kragle to glue the feet of Bad Cop’s parents. When prompted to glue them completely, the Good Cop refuses to do so, and that’s when his face is brutally erased. 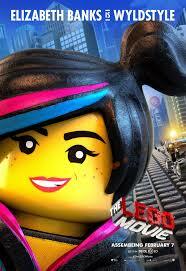 The Lego Movie, on the story and characters alone, would be considered imaginative and creative. However, it took it to a different level with their use of stop motion animation (probably thanks to their recruitment of Robot Chicken veteran, Chris McKay), and other cool stuff that I won’t spoil. 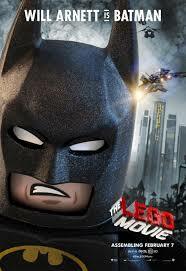 Considering the reception Ben Affleck received, Warner Bros. might want to consider Will Arnett as a replacement. At the end of the day, this movie is funny, charming, and something that the whole family will enjoy. Sure, the parents will have to deal with being pestered to buy more legos, but that’s a risk they’ll have to take for some really good entertainment. Frozen deservedly received a lot of fans and critical acclaim, and the Lego Movie feels like a fitting followup to that great animated movie. Watch this for the quirky characters (Unikitty. All I’m saying), the hilarious superheroes (the love/hate relationship between Superman and Green Lantern, the brooding artist that is Batman), and legos. Watch it for those reasons, and you won’t regret it. I remember watching Monsters Inc. when I was maybe five years old, and loving it. Over a decade later, I still remember most of the movie. So, when I heard that they were making a prequel movie… I was ridiculously happy. So, let’s get to it. I’m going to start with a short summary, in case you’ve yet to hear about it. 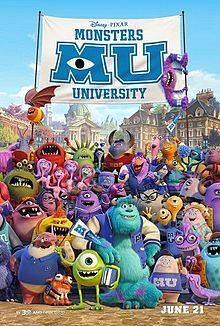 Monsters University is a prequel to the critically acclaimed, Monsters Inc., and it is the story of how the two main characters survived college to be who they are in the first movie. Mike Wazowski is voiced by Billy Crystal (as in the first movie), and for most of the movie, he’s the “main” character. At a school field trip to Monsters Incorporated, he’s saddened when no one chooses him as a buddy and he’s stuck with his teacher again. Upon entering the facility, they get to see the Scare Floor. I spent a lot of time looking at each and every character to see if I recognized them from the original movie. (I recognized maybe seven characters from the original movie.) Mike sneaks off from his group and enters a child’s room, unbeknownst to the scarer he’s trailing. And as he’s being scolded afterwards, the scarer takes note of the fact that he didn’t even notice Mike’s presence and gives him his Monsters University hat. Fast forward to when Mike is accepted to Monsters University. There is a scene near the end of the movie where we can see every strand of grass, and they look real. I’ll be really mad if Monsters University doesn’t get an oscar for the animation. Let’s get back to the story. Each and every character feels fully realized. Mike wants to be a scarer more than anyone else, despite the fact that he is not at all scary. He is a scaring genius in the sense that he can recite all the textbooks, and he knows how to scare. James P. Sullivan a.k.a. Sully (voiced by John Goodman) comes from a long line of scarers. He’s a natural at scaring, so much so that he didn’t even come to the first day of college with a pencil. In reality, Sully is simply so afraid to fail that he doesn’t want to seem like he’s even trying. It’s better to fail when it appears like you don’t care, than to fail when it looks like you’ve worked your hardest. That’s the way I perceive his character. A particularly funny scene is when Sully and Mike enter a fraternity called Oozma Kappa. (AKA O.K. ) One of the members, Don, is older than most of the teachers, and he’s a former salesman. His specialty is being able to stick unto things. I can’t help but think that this is a nod to the fact that the worst salesmen are sometimes called leeches. Their fraternity is so uncool that they weren’t even given a proper fraternity house. They’re just living in the house of one of its members and his mother. The whole movie is fast paced, hilarious, and if you were a fan of the first one, you’ll love this one. It was fun to notice all the winks toward the original movie. Unto the things I didn’t like. The main thing I didn’t like – which wasn’t really the movie’s fault – was the 3D. I’m very nearsighted, so I normally have to wear my glasses whenever I watch a movie. So, I had to awkwardly put the 3D glasses over my normal glasses, and it was a real hassle keeping them in place the entire time. I wouldn’t have minded if the 3D was as heavily used as movies like Avatar or Life of Pi, but the 3D here was barely noticeable. It was only noticeable whenever a flying monster was in front of the camera because its wings would come out of the screen. All in all, there weren’t any obvious problems with the movie. A more eagle-eyed viewer could probably list them off, but I wager that if one were to mention them, they’d all be minor and hardly affect the grand scheme of things. 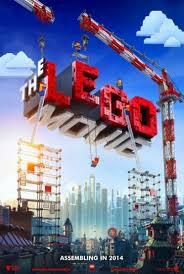 This is the animated movie to watch this year, and after looking at the trailers for most of the movies coming out for 2013, it is most likely going to be in the top 10 of best movies of 2013. It’s not a flawless film, but its pros are good enough that it’d make you forget about any of the cons. I’m giving this an 8.7/10. I cannot say that this movie is better than the first one, because it’s you that should do the deciding. I personally think they compliment each other greatly, and they could be combined into a very long movie. Go watch this movie. It is awesome.